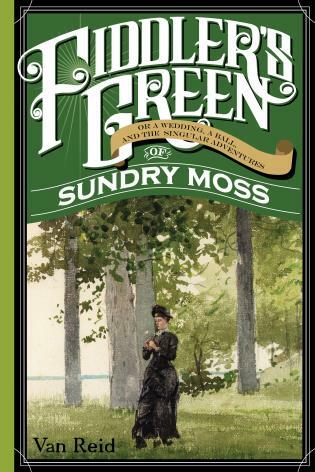 Opening with the long-awaited wedding of Mister Walton, Fiddler's Green follows Mister Walton's aide-de-camp, Sundry Moss, as he embarks on a Good Samaritan mission. What seems like a harmless journey soon turns into a nearly fatal scrape as he finds himself in a strange rustic netherworld, caught between two feuding--and fantastical--families who are determined to cover up a dark secret no matter what the cost. Full of romantic yearning, knockabout comedy, and touching drama, fans and newcomers alike will be pleased to keep company with the honorable Gentlemen of the Club. This is a worthy successor to its wonderfully reviewed predecessor, Mrs. Roberto. Van Reid's family has lived in Edgecomb, Maine, since the 1800s. Reid was a long-time bookseller and lives with his wife and children in a house Reid and his brother built on their family's land. His series of novels about the Moosepath League--of which Mollie Peer is the second--take place in the late 1800s on coastal Maine.